Hackaday 68k: So You Want A Kit? It’s yet another update to the Hackaday 68k, the wire-wrapped backplane computer that will eventually be serving up our retro site. This is also a demo of Hackaday Projects, our new, fancy online documentation tool for all your adventures in making and tinkering. Did you know we’re having a contest on Hackaday Projects? Make something sci-fi, and you’re in the running for some really good prizes. There’s soldering stations, o-scopes, and a lot of other prizes being thrown at the winners. It’s awesome. First one to build a working Mr. Fusion wins. In this update, I’m going to go over the beginnings of the video board, why Hammond enclosures are awesome and terrible at the same time, and some thoughts on turning this into a kit or product of some type. Click that, ‘Read more…’ link. It’s time for more blatant advertising for Hackaday Projects, the best project hosting site on the Internet. Did we tell you it’s collaborative? That you and your friends can work on projects together? Want more encouragement to join? How about a contest with prizes that include oscilloscopes, FPGA dev boards, soldering and rework stations, Beaglebones and Raspberries and Spark Cores? Oh my! Oh. 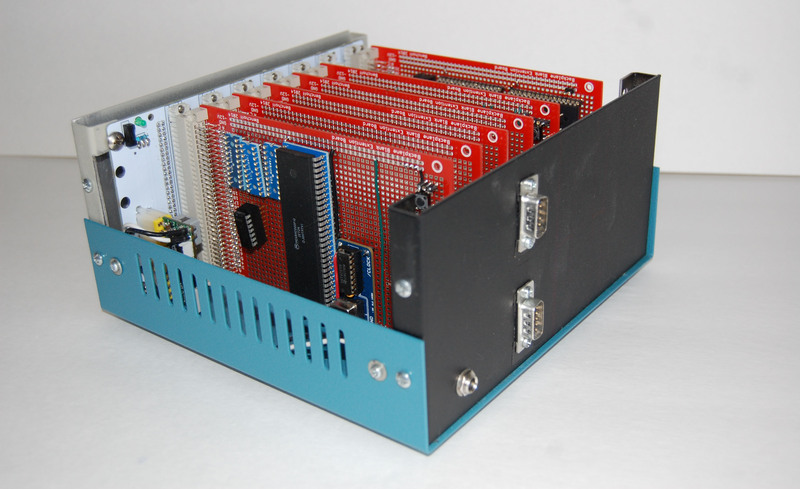 We’re also developing a retrocomputer to show off the features of Hackaday Projects. This is the latest update, showing off the architecture of the entire system, the memory map, and the logic glue and buffers. The plan for this project is to have it host another awesome Hackaday site, our retro version, a small off-shoot of the main Hackaday site that’s specifically designed to be loaded by computers built before 1993. There haven’t been many retro successes in the Hackaday tip line recently, so if you manage to get a vintage computer to pull the retro site up, snap a pic and send it in. For those of you wanting to catch up on the Hackaday 68k project, here’s the Hackaday Projects page, and here’s all the front page updates. Click that ‘Read more…’ link for the update. It’s about time for an update for Hackaday’s latest project – a modern retrocomputer based on the Motorola 68000 CPU. In this update, we’ll be taking a look at the enclosure, the backplane itself, and how we’re going to power this thing. This is only an update to the project; you can check out the current status over on Hackaday Projects. It’s Hackaday’s new collaborative project hosting site where you (and your friends) can design, build, or document anything you have in mind. Request an invite for the alpha release of Hackaday Projects and you can give this project a skull! Seriously, this project is only the third ‘most skulled’ one on Hackaday Projects. Now that the completely transparent pitch for Hackaday Projects is over with, we can get on to the update for the Hackaday 68k. Click that ‘Read More…’ link.